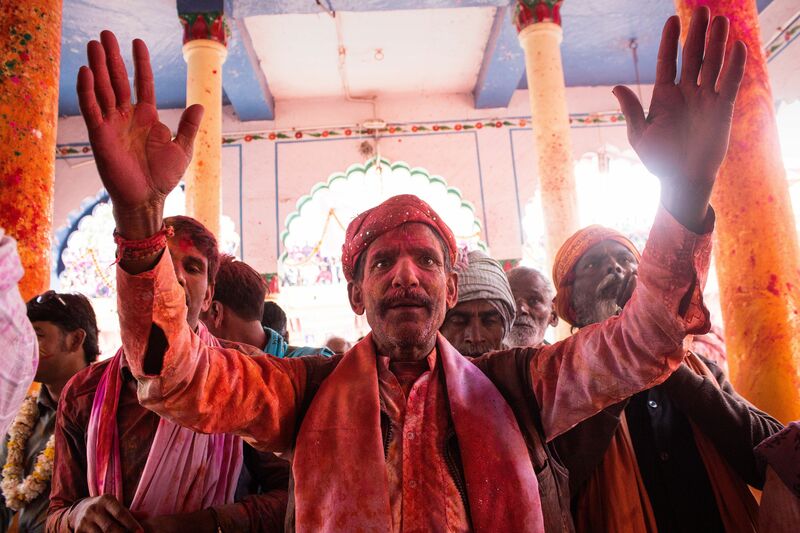 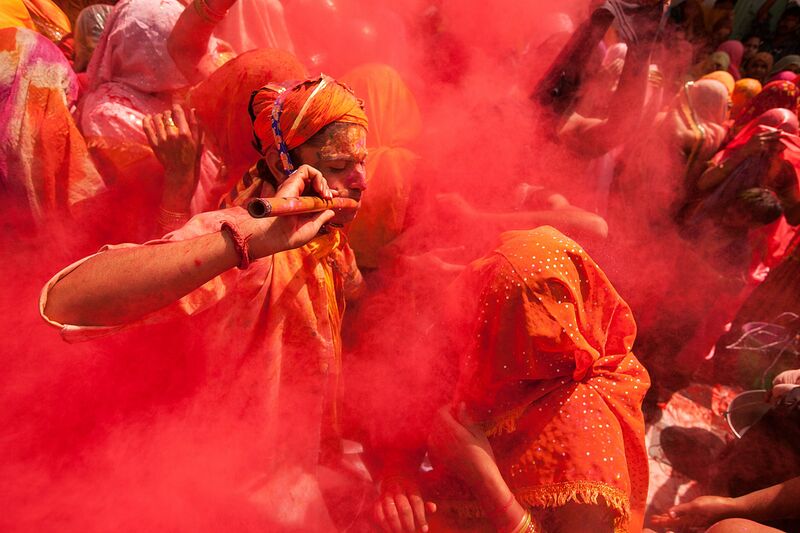 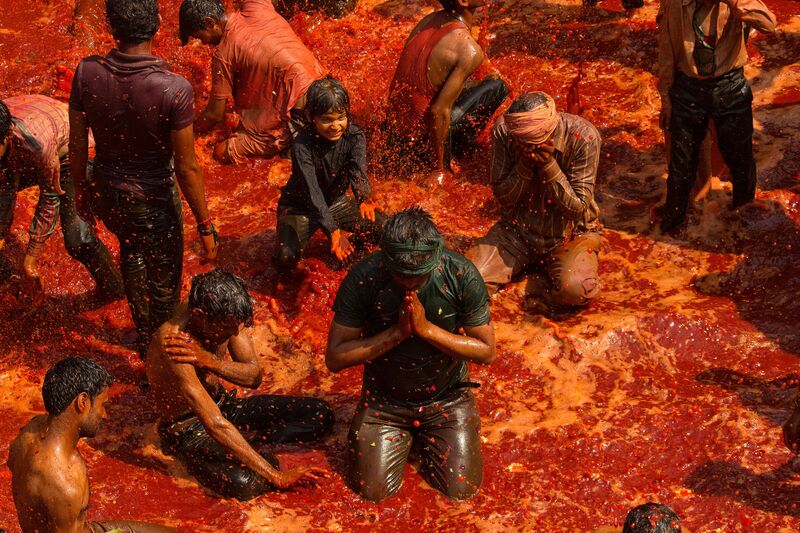 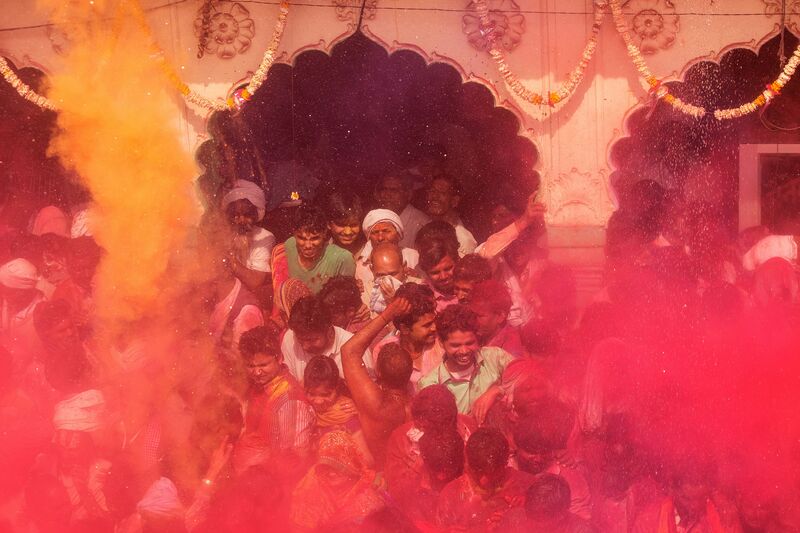 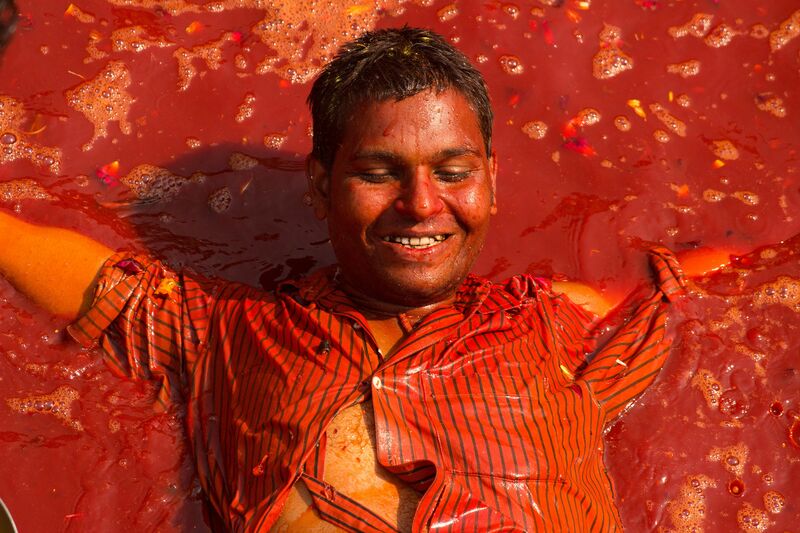 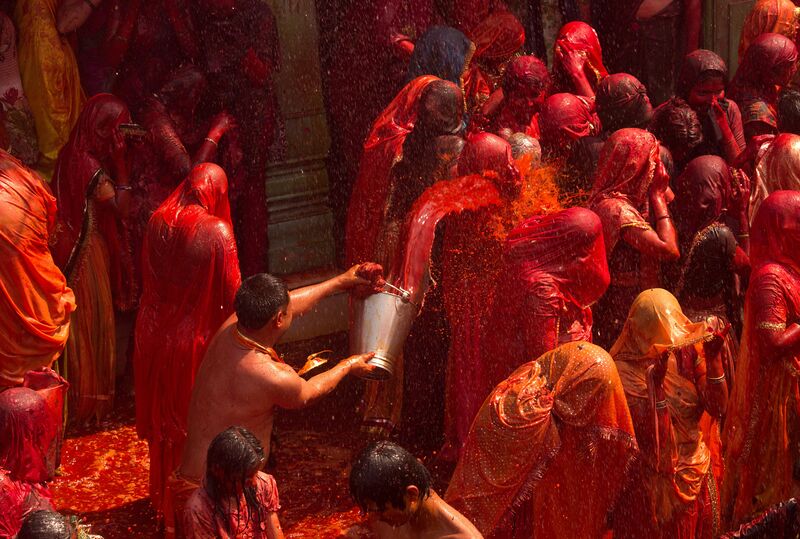 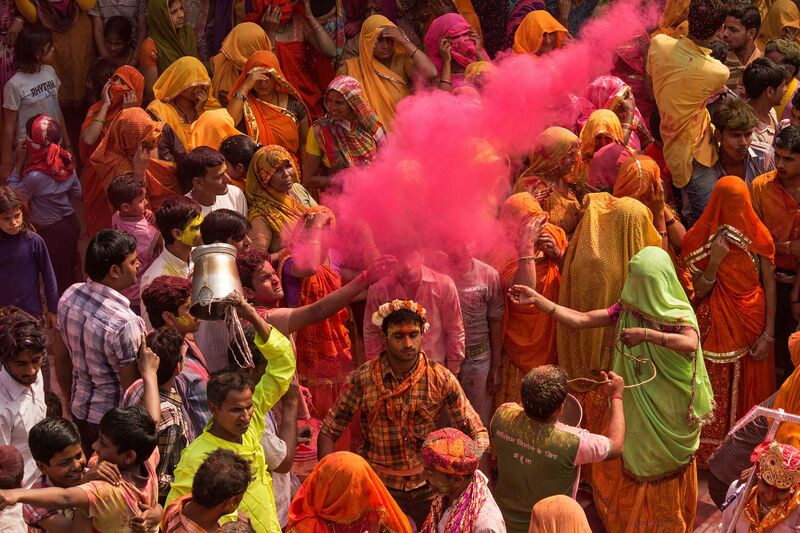 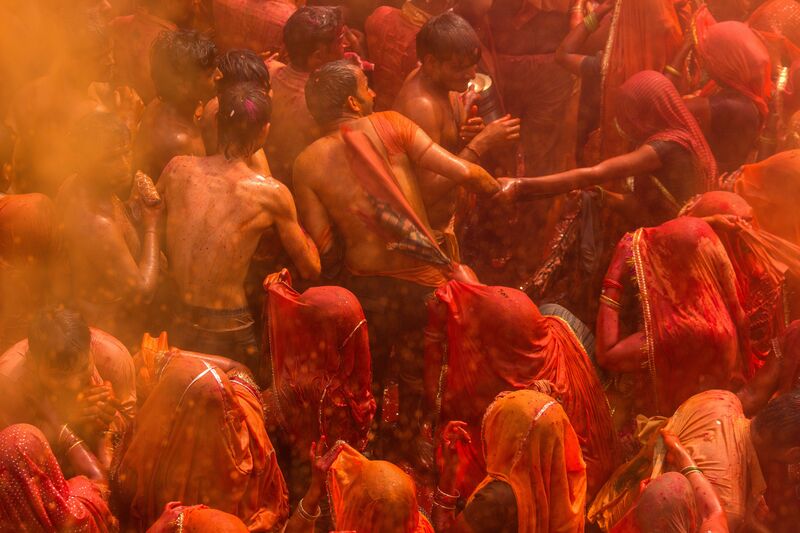 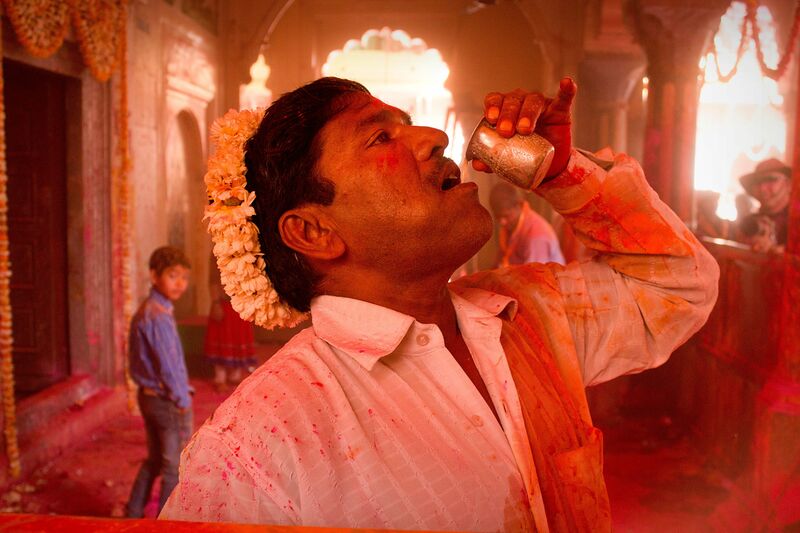 While the celebrations of Holi in the twin towns of Nandgaon and Barsana is stuff of legends, few know of a strange ritual performed at the Dauji Temple of Baldev. 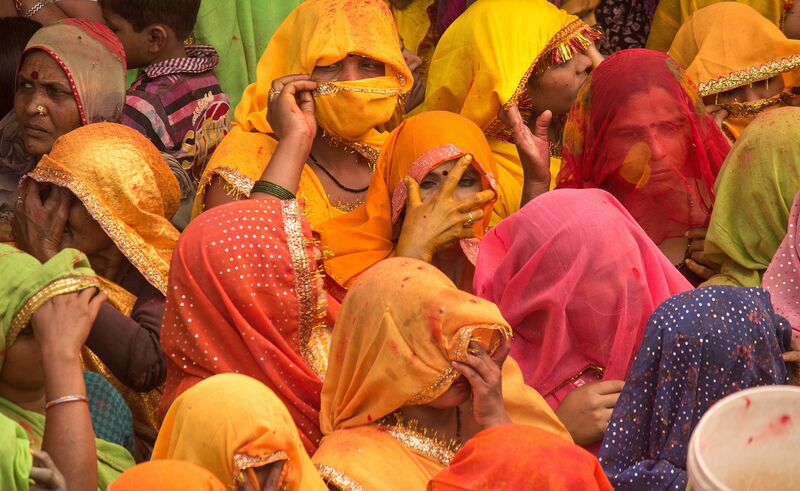 Soon after the mornings prayers, veiled women dressed in bright traditional sarees fill up the temple courtyard (An empty space is left at the center, for men to move around). 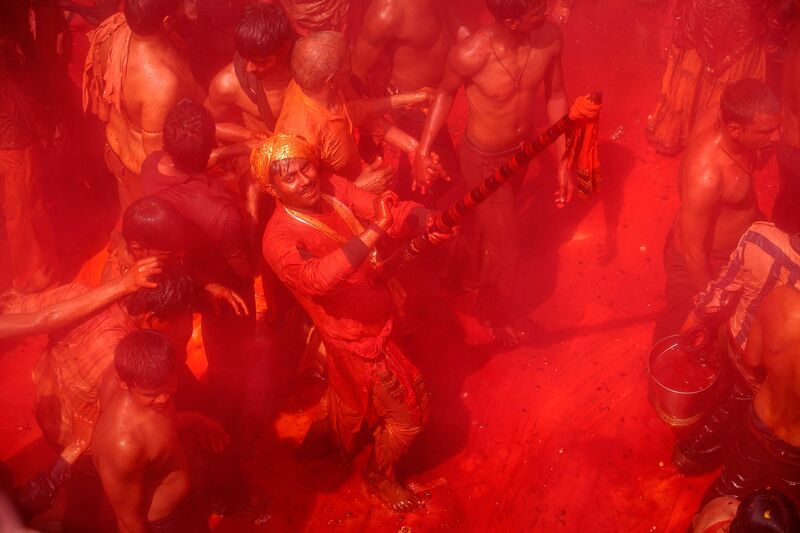 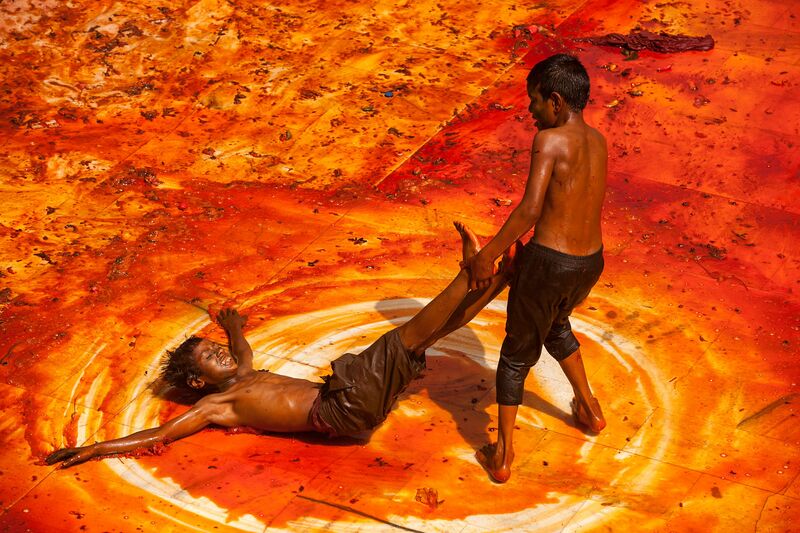 Then as the temple flag is hoisted, the ritual dance begins and then soon after, a bizarre sight unfolds. 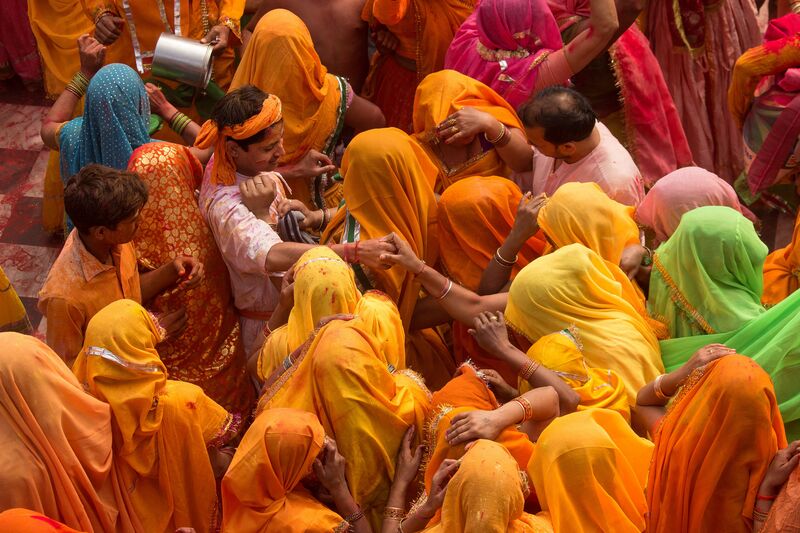 Small groups of women catch hold of men, tear off their shirt and trash them hard with it. 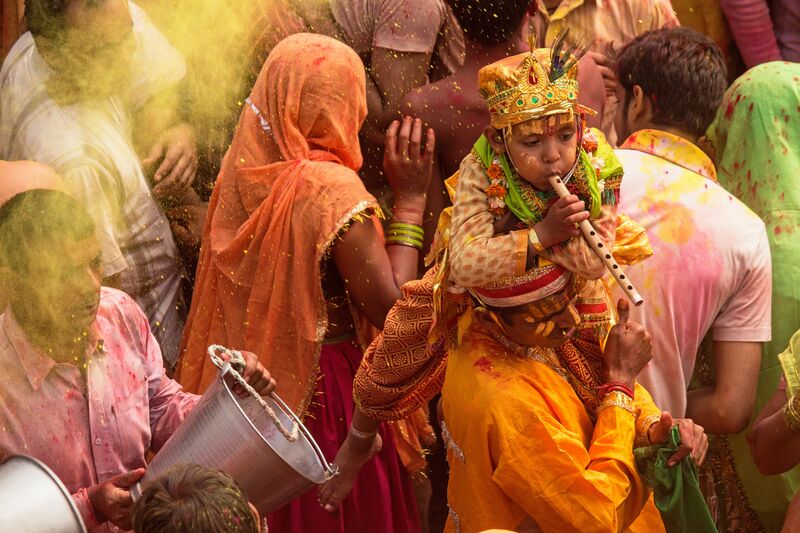 The ritual it is believed, has its roots in the mythical stories of Lord Krishna. 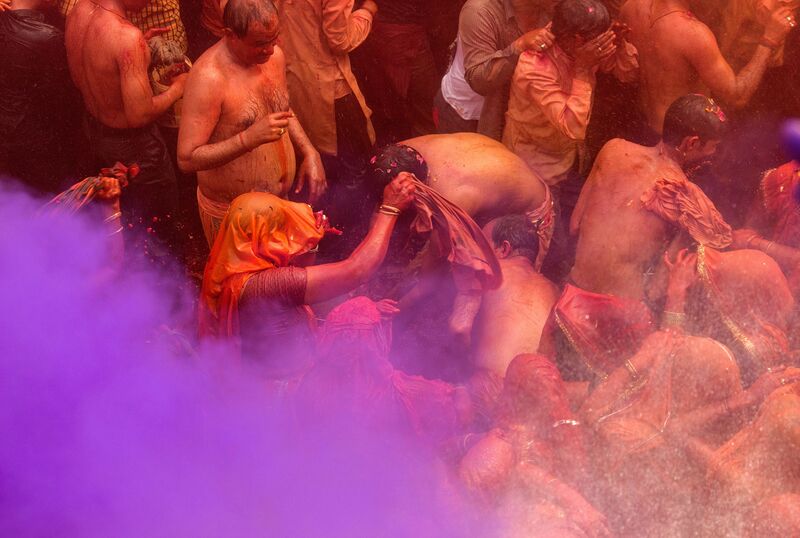 While all year round men play pranks on the village women, Holi is this one time when women get a chance to get back at them.